Season 9 has started off with a bang (have you seen the season premiere?!) and it's no secret that some of our favorite characters are making a comeback this season. Last week, we got to know Susan Weebers a little bit better, and today? We're sitting down with Batman for an exclusive interview. 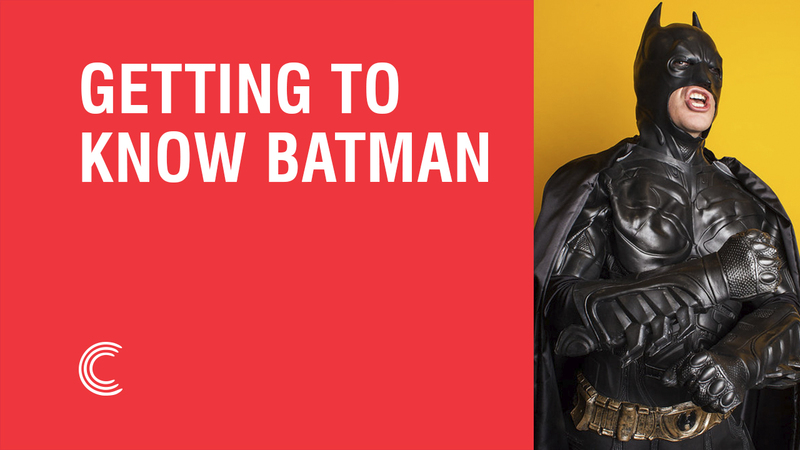 We don't want to give anything away, but we'll tell you this–if you think you know everything about Batman, you're wrong. Batman: Favorite animal is a bat. I think that goes without saying. Batman: Well, I have to keep most of my fun activities limited to the daytime because I have another job at nighttime. Um, I enjoy waterskiing, although I have to make sure and wear the proper sunscreen because if I get a tan just here, it's kind of awkward, so—Swimming. I would say swimming. BYUtv: What is the first thing you do in the mornings? Batman: Favorite food is pepperoni pizza, New York style or Gotham style. Batman: My dream career would be to be on "Dancing with the Stars." I've got some moves that would blow America's mind. The Bat. Which-- It's-- It's-- It's a move from the '70s. It's banned in four countries, but it's pretty awesome. You do this, you get your wings out, and you go-- And then you repeat that for three hours. The ladies love it. Batman: I like the "Aw, yeah" girl because I've been in several situations with bad guys where the "Aw, yeah" girl would come in handy. Like, I punch Joker in the face and the "Aw, yeah" girl comes around the corner, she's like, "awww, yeah!" I think that would be pretty cool. BYUtv: What is the best part of being a superhero? Batman: The best part? Um, I think, you know, I think it's just this--It's, um…The cars. You get really cool cars as a superhero. So, yeah, the cars. Batman: Uh, the parking tickets from the cars because my cars technically aren't street legal because they have a rocket booster on the back, so I get some pretty nasty fines from the po po. Can't Get Enough of Batman? 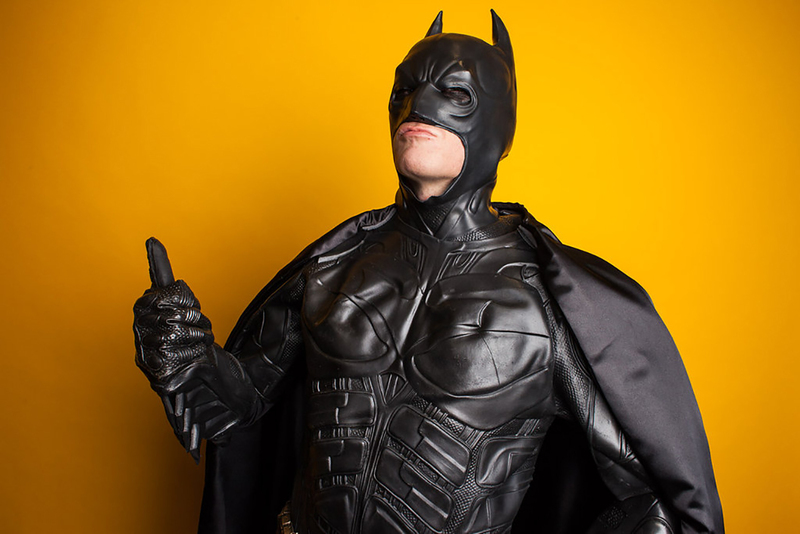 While there is more Batman coming in Season 9, be sure to check out some of our favorite Batman sketches from the past! 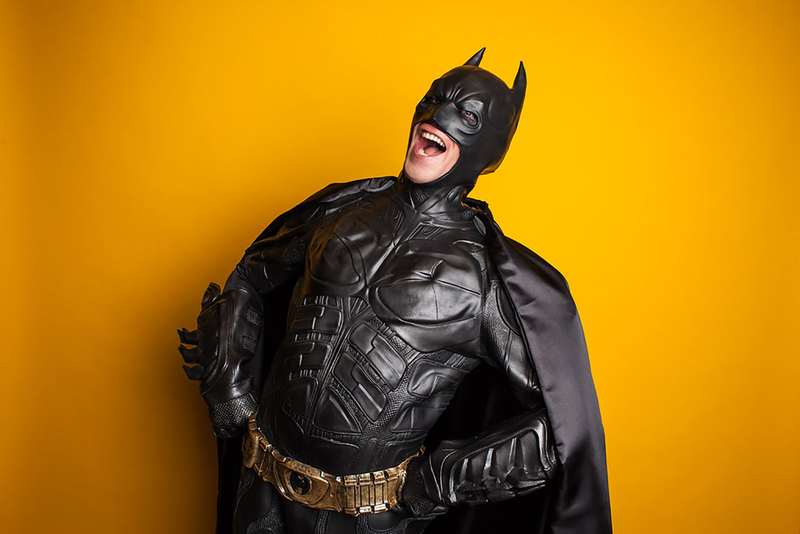 Don't miss Batman (and more of your favorite characters) on Studio C Season 9 airing every Monday night at 7pm MT on BYUtv.